Elevate your practice status by achieving the status of Safe Prescriber. Empower yourself with the latest resources on pain management and controlled substances. Safeguard your practice by implementing practical tools and strategies. Demonstrate that your practice is up-to-date on safe pain medication management. The Safe Prescriber program was created by the Illinois Academy of Family Physicians to aide physicians in administering safe pain management to their patients by offering them education and resources on safe prescribing. 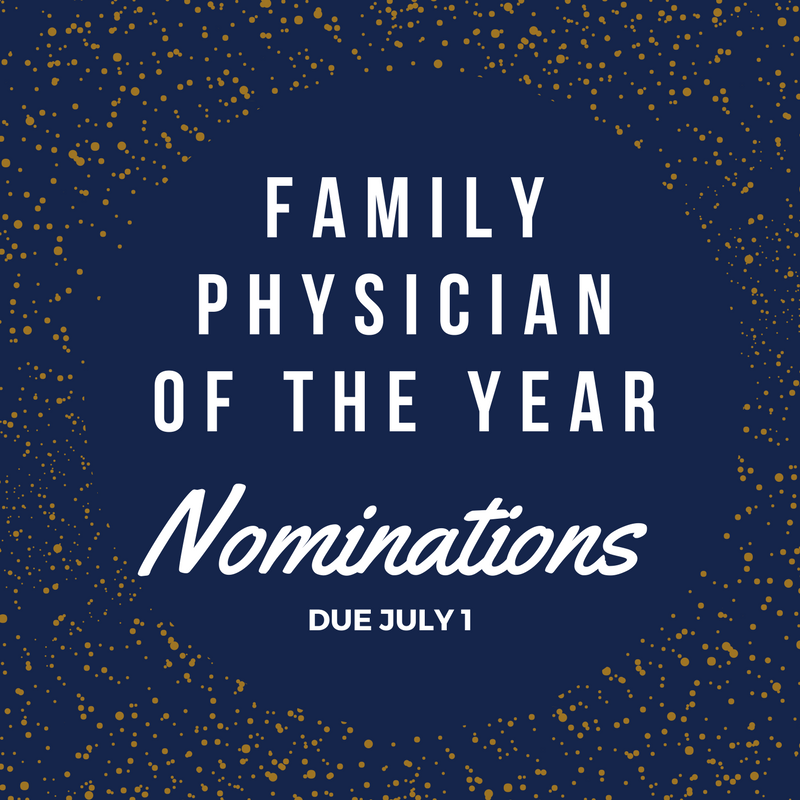 Physicians who have successfully completed the stated criteria are awarded Safe Prescriber status by the Illinois Academy of Family Physicians. The IAFP does not monitor prescription use by physicians and cannot be held liable for any misconduct of Safe Prescribers. 1: Enroll online in the Illinois Prescription Monitoring Program (PMP). Illinois has outlined a prescription monitoring program allowing licensed prescribers and dispensers of controlled substances to view a Prescription Information Library (PIL) for current and prospective patients only. To have access, a physician must apply online. Applications take 1-2 days to process. 2: Complete the online IAFP CME Course on Opioid Safety in Primary Care. Visit IAFP's LMS for course details. 3: Provide a copy of your office policy for controlled substances. 4: Develop and utilize an informed consent form for patients. For your convenience, IAFP created a template, or you may create your own. Upon completion, physicians will receive a certificate for display at their practice and recognition on the IAFP list of Safe Prescribers. Click here to complete the Safe Prescriber form. by ensuring communities have access to effective resources. COWS, Clinical Opiate Withdrawal Scale. The Clinical Opiate Withdrawal Scale (COWS) is an 11-item scale designed to be administered by a clinician. This tool can be used in both inpatient and outpatient settings to reproducibly rate common signs and symptoms of opiate withdrawal and monitor these symptoms over time. The summed score for the complete scale can be used to help clinicians determine the stage or severity of opiate withdrawal and assess the level of physical dependence on opioids. Practitioners sometimes express concern about the objectivity of the items in the COWS; however, the symptoms of opioid withdrawal have been likened to a severe influenza infection (e.g., nausea, vomiting, sweating, joint aches, agitation, tremor), and patients should not exceed the lowest score in most categories without exhibiting some observable sign or symptom of withdrawal. ORT, Opioid Risk Tool. The Opioid Risk Tool (ORT) is a brief, self-report screening tool designed for use with adult patients in primary care settings to assess risk for opioid abuse among individuals prescribed opioids for treatment of chronic pain. Patients categorized as high-risk are at increased likelihood of future abusive drug-related behavior. The ORT can be administered and scored in less than 1 minute and has been validated in both male and female patients, but not in non-pain populations. NM-ASSIST, NIDA Drug Screening Tool, NIDA-Modified ASSIST. This tool guides clinicians through a series of questions to identify risky substance use in their adult patients. The accompanying resources assist clinicians in providing patient feedback and arranging for specialty care, where necessary, using the 5 As of intervention. The NIDA Quick Screen and NIDA-modified ASSIST are appropriate for patients age 18 or older. You may deliver it as an interview and record patient responses, or read the questions aloud and have the patient fill out responses on a written questionnaire. It is recommended that the person administering the screening review the sample script to introduce the screening process. The script offers helpful language for introducing what can be a sensitive topic for patients. RIOSORD, Risk Index for Overdose or Serious Opioid-Induced Respiratory Depression. RIOSORD helps identify medical users of prescription opioids at elevated risk of overdose or life-threatening respiratory depression, those most likely to benefit from preventive interventions. POSS, Pasero Opioid-Induced Sedation Scale with Interventions. Assessment of sedation during opioid administration for pain management is critical. This tool can be helpful to monitor trends in patient sedation level. It is simple, easy to understand, and can augment communication across the health care team. Read more about how nurses use this tool here. STOP-Bang, Obstructive Sleep Apnea (OSA) Screening Tool. Medications such as opioids can exacerbate existing OSA and predispose a person to have OSA. OSA is a serious condition that diminishes quality of life. People with OSA also have an increased incidence of comorbidities such as coronary artery disease, congestive heart failure, and cerebrovascular accidents. STEADI Toolkit, Screen, Assess, and Intervene for Falls. Opioids place individuals at greater risk of falls. STEADI consists of three core elements: Screen, Assess, and Intervene to reduce fall risk by giving older adults tailored interventions. This tool walks healthcare providers through assessing a patient’s fall risk, educating patients, selecting interventions, and following up. The STAY INDEPENDENT brochure checks for risk of falling and can be performed by anyone, including the person taking the opioid and/or the clinician. Then, clinicians can use the ALGORITHM for fall risk screening, assessment, and intervention.